Sport has failed. 2015 may well go down as the most disgraced year in the history of sport. But it should also go down as the year things changed. The year when it finally became apparent that sport can no longer go on ‘governing’ itself in the way it has. In May 2015 it was the FBI arrests of FIFA officials, linked to widespread corruption and money laundering, that later brought the long awaited downfall of President Blatter and plunged FIFA, and in turn many regional football bodies including UEFA, into crisis. Then, in November 2015, French police investigated the former International Association of Athletics Federation (IAAF) president Lamine Diack, along with the institution’s legal director and anti-doping director, relating to allegations that substantial bribes were accepted to conceal the positive doping test results of athletes. These two major crises, which reached the very top of two of the largest and most important international sports federations, pose the obvious question many of us who work in the sector have asked for years. How can sport be serious about tackling corruption and cheating by individual athletes when the regulators themselves have been engaged in corruption and rigging on an industrial and criminal scale? For too often the spotlight has been turned on individual cheats. Even now, the really important lessons of the recent IAAF corruption scandal risk getting lost in the fashionable sport of Russia bashing. Of course, the alleged state-sponsored fraud of international athletics by Russia must be dealt with appropriately. But the problem is not just that there are states, and private corporations, willing to cheat and bribe in order to benefit from the huge financial rewards sport can now offer. The real problem is that they have been allowed, even encouraged, to corrupt sport by the very people who claim to be its guardians. It is the institutional corruption and failure of sport that is the true scandal of 2015, and one far too many involved in the industry have been silent about. Consider FIFA. Nearly every informed observer knew, or should have known, that the institution was corrupt for years. The evidence was there, but it was ignored or concealed. One only needs to read journalist Andrew Jennings’ brilliant book, ‘The Dirty Game: Uncovering the Scandal of FIFA’ Century Press (10 September 2015) to understand the scale of corruption throughout the institution that ‘governs’ world football. The heads of FIFA operated a system whereby hundreds of millions were paid in bribes to sports administrators, where money laundering was conducted on such a scale it shocked the organised crime unit of the FBI, and whereby nearly every World Cup bid that most football fans can remember was connected with corrupt payments made either through states or with funds coming from multinational corporations. It is a mistake, as with the focus on Russia in athletics, to focus solely on the corruption of a few individuals or states in Latin America, Africa or the Caribbean. The problem with FIFA was that those who at the top of the institution, like President Blatter – a respectable Swiss trained career sports administrator – presided over a system of organised crime where sports federations were used as a front for the embezzlement of hundreds of millions of pounds. The last big FIFA corruption scandal before this one dates back to the operations of Swiss based sports marketing company International Sport and Leisure (ISL), set up by former Adidas boss, Horst Dassler. The ISL became closely associated with FIFA, the IOC and the IAAF, and paid tens of millions of dollars in bribes to senior sports administrators for corporate rights for its large multinational clients. 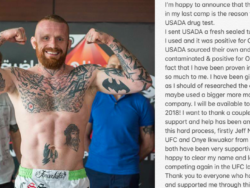 The commercialisation of sport has brought billions of pounds of broadcasting and sponsorship revenue to sports where the administrators have the power to award contracts out to their friends (or often family). In turn, those same administrators, desperate to hang on to their position of power which allowed them to embezzle so much, would often need more corporate money to pay in bribes so other federations and administrators would vote for them to stay in charge. So the systematic corporate funded corruption of world football through Swiss companies and banks became established. During the recent IAAF scandal some commentators have mistakenly suggested it is even worse than the FIFA scandal because the latter did not include corruption of the sport itself, only business corruption. Whilst the recent WADA report suggests wide spread doping and concealment of results, thus effecting the very integrity of athletics, there are strong grounds to assume a number of World Cup matches could have been fixed as a result of pressures from corrupt officials – from the Germany v. Austria fixture in the 1982 World Cup (See the chronology here) to Italy’s surprising and controversial defeat by South Korea during the 2002 World Cup, where FIFA officials were concerned about host nation South Korea being knocked out too early and disgraced former FIFA Vice President Jack Warner is said to have picked the referee who went on to make a number of highly unusual decisions (See this Eurosport article and chapter 8 of Jennings’ The Dirty Game). In any event, corruption appears to be at the heart of the decisions to stage big international competitions in certain countries in football, as in the past with athletics and the Olympics. Athletes who should not have competed because they had failed doping tests were able to compete, it appears, because those at the highest levels of the IAAF were bribed to conceal the results of the failed tests. The lessons from both the FIFA and IAAF scandals must be that the sport is unfit to govern itself. This is not just the case of a few bad apples. 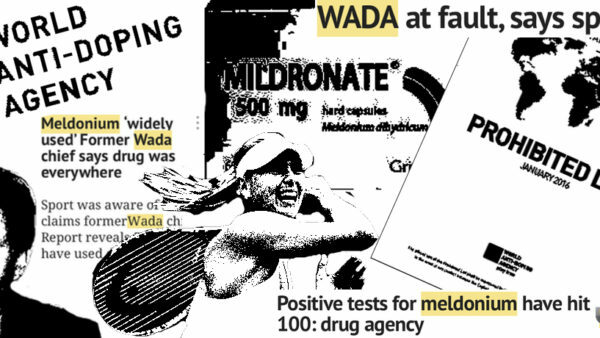 Allegations of doping and corruption have been around for years. Scandals have come and gone. We are frequently told sports have cleaned up their acts. But when you have the same people involved in the administration of sport, including in determining which nations get to host events or which sponsors are associated with those events, inevitable conflicts of interest arise as those in charge of regulating the events control the increasingly large amounts of money flowing into sport. These days there are hundreds of different sporting tribunals and administrators charged with disciplining competitors for breaching the rules, and lawyers acting in the sector. Yet there is often a fundamental imbalance. I often represent athletes, footballers, agents and clubs charged with some form of rule infringement, doping or corruption, often relatively minor and often as a result of some mistake (and not deliberate cheating). On many occasions, the sports governing body throws its whole weight into prosecuting the competitor, frequently denying them the sort of process one might expect in the courts. Some sports tribunals are either handpicked by the regulators or the independent lawyers who sit on them owe their continued selection to the governing body. Hearings are not always as fair as they ought to be. Yet who regulates the sports regulators themselves? To what body can an athlete or club turn to complain about corruption or bias by the regulator? Often there is either no route to complain or a complaint will be determined by the same hand picked bodies which owe their existence to the regulator. 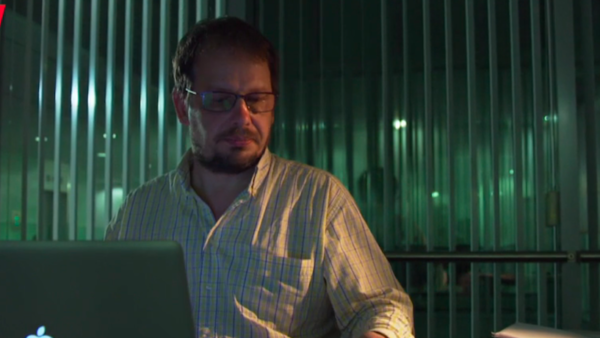 It is no surprise that the recent exposures of corruption in the sport have come not from inside the sport itself but from outside – whether by investigative journalists working with whistle-blowers or by foreign police forces taking action when the level of corruption became so significant as to constitute serious criminal offences. Many lawyers involved in sport know this all too well but tend not to speak out about it perhaps because they are understandably concerned about how that might affect their career, particularly if they act for sports regulators. Yet this is partly why the mess sport is in continues. The pressure not to upset those funding the sport and the regulators is a key reason why more whistle-blowers have not come forward before. Perhaps it explains how someone like Lord Coe, no doubt a man with a commendable record and high ethics, having become a successful career administrator, can sit as Head of the FIFA Ethics Commission in 2006 and then after be Vice President of the IAAF for the last 8 years, alongside the man now being investigated for receiving bribes to conceal cheating, and yet not see or expose what was going on under his watch. Indeed, Lord Coe’s first reaction to the German press revealing the corruption scandal in August 2015 was to close ranks and attack the journalists breaking the story accusing them of declaring war on athletics. This issue of conflicts I discuss in this article is closely linked to another criticism of the current President of the IAAF; many have already said it is inappropriate for someone in Lord Coe’s position to continue to receive a ‘six figure salary’ for being a ‘Global Ambassador’ for one of the largest global corporations involved in sponsoring sporting events including international athletics, Nike (http://www.theguardian.com/sport/2015/nov/10/sebastian-coe-dcms-select-committee-doping-scandal-nike). The problem is not the person of Lord Coe, of even Lamine Diack or Sepp Blatter, or any other particular administrator who has been corrupted or has failed to prevent corruption in their sport. The problem is institutional. Without proper independent scrutiny of sport, where the regulator is separate from those who administer the funds and the contracts and has real power over them, these scandals are bound to simply repeat themselves. What is the solution? First, those involved in sport need to speak out and support others who do whistle-blow. 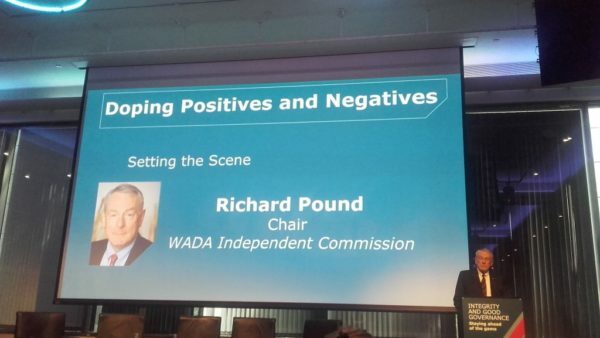 Second, we need to look at either extending WADA’s remit or creating a WADA-style independent anti-corruption world body that focuses not only on participants in sport but on those who run it, who award contracts and so on. Third, there needs to be a proper separation of powers, within each sport (or with the creation of a new global body), between regulation and administration. The regulator must be institutionally and, as far as possible, financially independent from those administrating the sport. It must have the powers and the will to investigate and prosecute those who are at the highest levels of sport. Fourth, there needs to be judicial and state support for such an independent regulator. An independent regulator should have similar powers to the police in order to properly investigate and prosecute corruption. If not, it must be able to seek court orders in its support, as well as the co-operation of national law enforcement agencies. These solutions are not easy, and will not happen over night. It may be that some of the existing institutions, such as the Court of Arbitration in Sport in Switzerland, or even Sports Resolutions in the UK, can begin to transform themselves into such independent bodies of scrutiny. But that won’t be easy. The jurisdiction of such bodies is contractual and largely limited by what the sports governing bodies themselves allow to be determined by them. That does not usually include allegations of corruption by the heads of the sport. Added to that such bodies are often dependent on the funding and co-operation of the sports governing bodies bodies themselves and so arguably do not have the institutional independence necessary to fill the role necessary (as the Pechstein judgment in Germany suggests; see commentary here). There are nevertheless a number of highly qualified, experienced and independent CAS arbitrators that, if given the appropriate powers to do so, ought to be able to provide the kind of independent and effective international tribunal necessary. National governments and institutions such as the European Union have to play a greater, and more interventionist role if the problems in sport are to be resolved and the type of independent regulation necessary constructed. Within the UK, the Governance of Sport Bill represents, at least, some incremental step towards the greater accountability and transparency of those bodies in receipt of government monies, but that only scratches the surface. 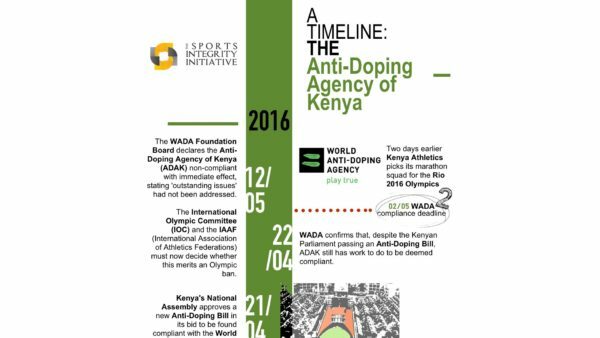 If the Bill had been law it would have had no effect on either the FIFA or IAAF scandals. Until such time that effective and independent sports regulators come into existence the courts must inevitably become more involved in scrutinising the decision of sports governing bodies. Not only from the judicial review/Bradley-type standard (Bradley v Jockey Club  EWHC 2164) that essentially limits the court’s intervention to dealing with unreasonable, procedurally unfair or unlawful decisions; but also be developing the ‘restraint of trade’ and/or contractual bases for that review to exercise a more searching scrutiny into the administration of sport itself. Individual participants in sport, and those bound by contract via agreement to the Rules, need to have a greater opportunity to challenge wrongdoing that effects them. The historical judicial reluctance to interfere in the decisions of sports governing bodies needs to be relaxed because of the failure of sport to properly regulate itself. This involves a radical shift in legal culture. Two examples arising from the current IAAF scandal spring to mind. First, consider athletes who complied with the IAAF rules, including the anti-doping rules, who were beaten in races (or not selected) because of other athletes who cheated. 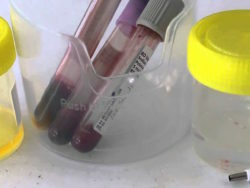 If the evidence suggests that the IAAF (or those in prominent positions within it) knew or ought to have known that some athletes competing in competitions, such as the London 2012 Olympics, had failed doping tests then the athletes deprived of a medal ought to have a claim in damages against the IAAF in either contract or tort. There will doubtless be jurisdictional arguments about those claims, whether they be subject to arbitration clause, whether CAS can consider them and so on, but the starting point is that athletes who have been deprived of winning a medal, and the financial benefit that that brings afterwards in terms of their career and sponsorship, ought to have redress against the regulator if it allowed others breaching the rules to compete and beat them. Secondly, consider an innocent Russian athlete who didn’t take part in any doping but comes from a nation where many other athletes did. 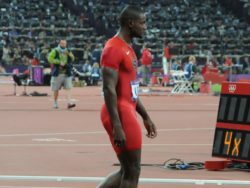 If the IAAF or the IOC decide to suspend Russia for competing in future international events, saying it is the only punishment that will have a sufficient deterrent effect, the individual innocent athlete who has not cheated is excluded from competing by a body with a monopoly of entry into the sport (that may have itself failed to prevent the cheating athletes). Such an athlete ought to have legal redress. It cannot be proportionate to exclude entirely innocent athletes from competing because some of their compatriots have cheated. This shift in legal culture, involving the holding of sports governing bodies to account for all their actions, shall hopefully be the start of a greater process of development towards the proper, independent and fair regulation of sport. • This article was originally published on Blackstone Chambers’ Sports Law Bulletin on 13 November 2015. To access the original, please click here. The views expressed in this article are the author’s personal opinions and do not necessarily reflect those of either Blackstone Chambers or his clients.